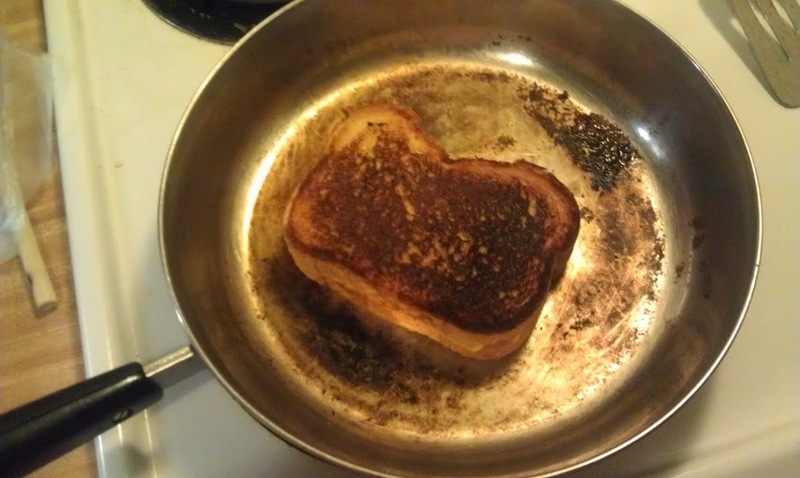 Who likes some grilled cheese? 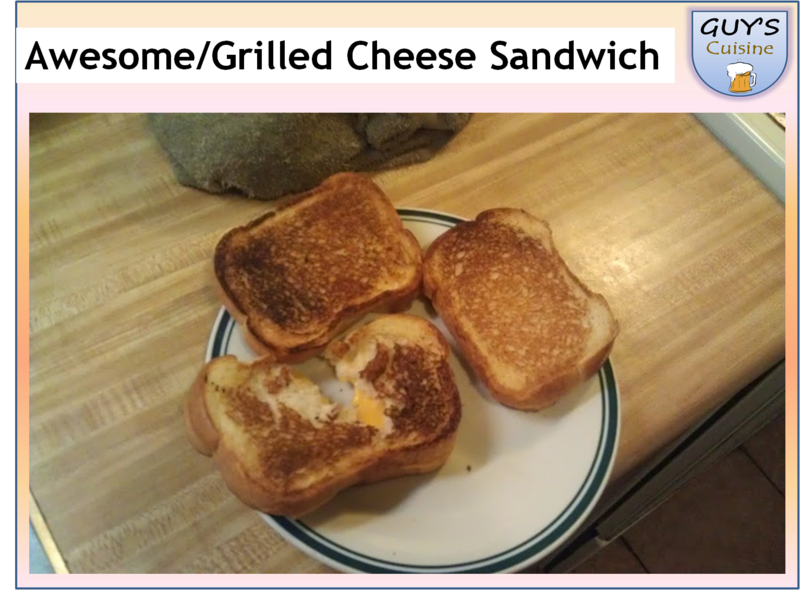 (raises hand) So in this Aspie Recipes post, I am going to show you a very simple and easy to do recipe for your own grilled cheese. 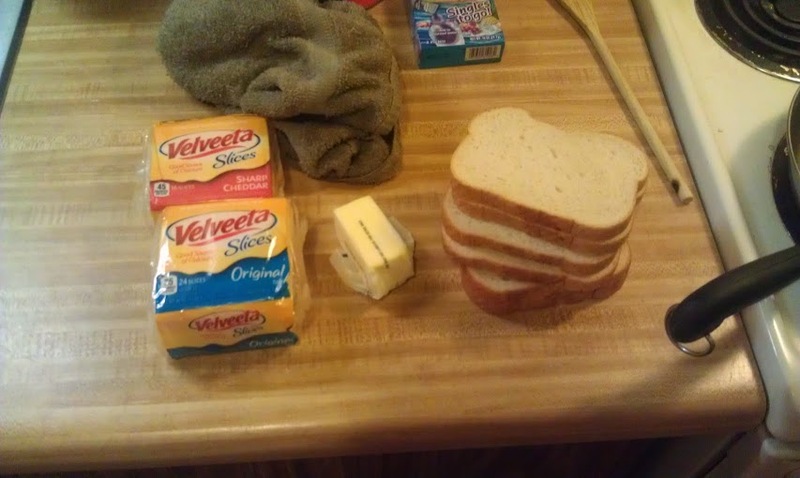 Basically it’s only a good hearty white bread with some cheese that can melt. This is probably the easiest and cheapest comfort food you can make! Here’s what you need to make one sandwich. 1. Take out two pieces of hearty white bread. Don’t buy the cheap white bread, get some white bread that can hold up to the butter and cheese. 2. I got American and cheddar cheese slices. Take one of each out of the wrapper. 3. 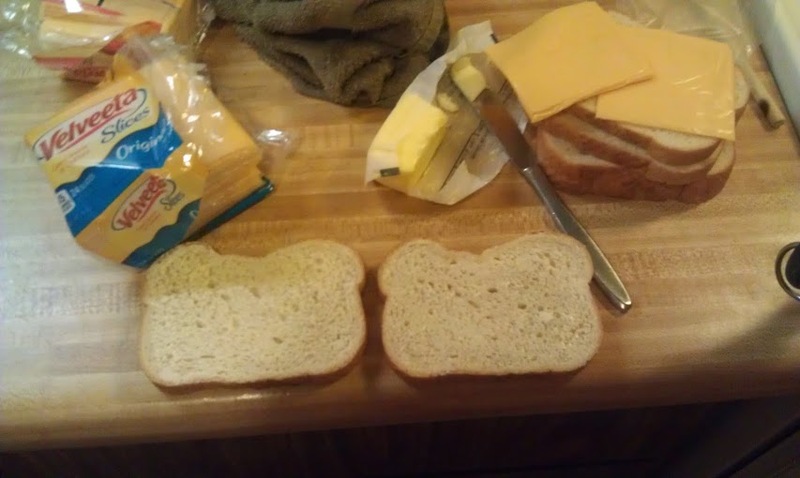 Spread butter on the bottoms of both pieces of bread. Add cheese in the middle. And add some butter to a medium heated saucepan and let melt and spread around. 4. 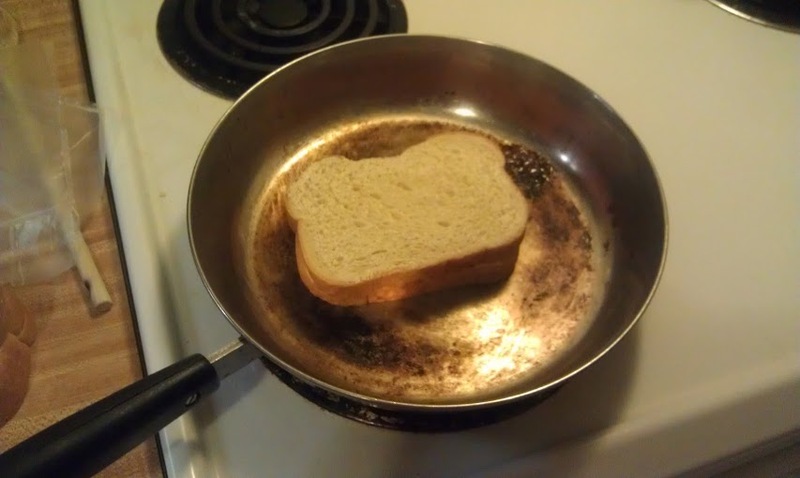 Add sandwich to the saucepan. Cook each side for around 2-3 minutes or until golden brown. That’s it. 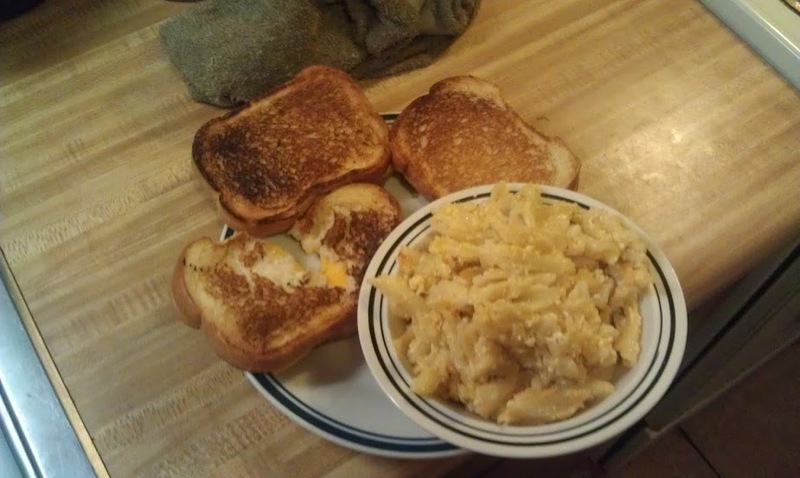 A grilled cheese sandwich would go well with my crock pot mac and cheese. Make it a cheesy dinner!